Please enjoy this lecture given by Dr. J.P. Moreland at Desert Springs Church in 2016. To learn more about Wallace and his evidential approach, go here. So, why are you a Christian? Please share in the comments below! 1. 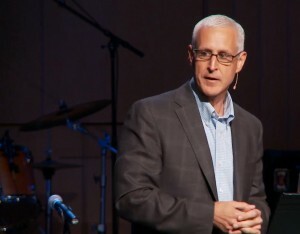 J. Warner Wallace in "God's Not Dead 2." "So all the righteous blood shed on the earth will be charged to you, from the blood of righteous Abel to the blood of Zechariah, son of Berechiah, whom you murdered between the sanctuary and the altar." 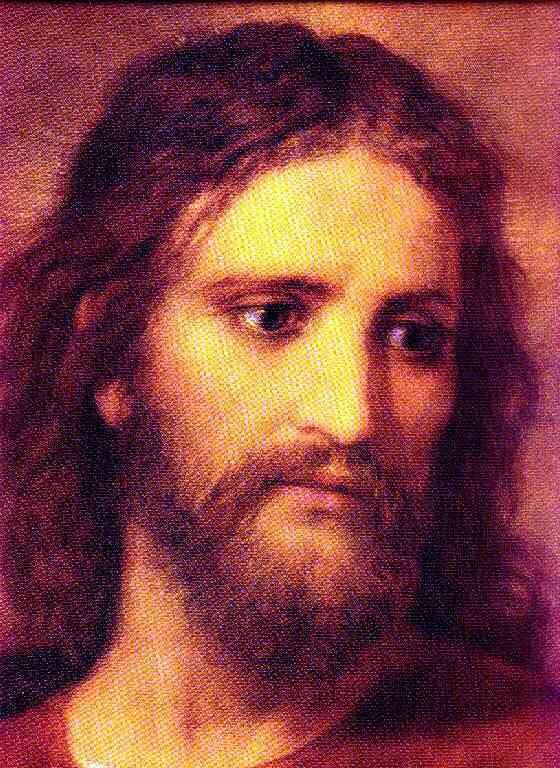 Jesus offers us the ultimate witness to the legitimacy of the Old Testament canon! 1. Doug Powell, Is the Old Testament Reliable?, 2008. In this video, author and former Muslim Nabeel Qureshi offers a personal, challenging and respectful response to the many questions surrounding Jihad, the rise of ISIS, and Islamic terrorism. This talk is based on Qureshi's new book Answering Jihad. You check that out here. Being the wife of a man devoted to Christian apologetics, I have some basic grammar of apologetics. By grammar I mean the building blocks that form any subject. I will not boast my foundation is strong enough to build upon it the many useful and brilliant arguments within apologetics, and for that I often feel a void. When do I experience that void the most? When my daughters bring forward questions in which apologetics will give them the best answer. Because we home school, those questions come often throughout our daily lessons. Sometimes I am equipped to answer with confidence, and other times, most often, I tell them to hold onto their question for Daddy at the dinner table. Now, I greatly enjoy listening to my husband answer their questions over our meal, and I learn along with them, however a growing sense of urgency arises in my soul while listening. I realize I need to answer their questions during the day. While I am not steeped in the arguments like Chad and there will be times where his expertise is needed, I must be able to give them at least an acceptable answer to their inquiry. I want to give my girls the example that defending the faith through apologetics is not just “Daddy’s ministry” or a “specialty area” for certain Christians who like “that sort of thing”. No, God makes it clear that all disciples of Christ are to defend the faith. This home schooling house wife, who loves classic literature and chai tea at the end of her day, is not exempt - for any reason. I must more often lay down my Jane Austen and Charlotte Bronte and pick up…who? Over the years, when this conviction again arises with fervor, Chad has recommended many helpful titles, and I have attempted them. Oh, to have his photographic mind and natural development of logic! But I have to read, re-read, and repeat some paragraphs/chapters in truly brilliant books until it starts to form a little more of the foundation needed to build an apologetic structure. Admittedly, I do not make it through. Hello Jane. Let me brew some tea. 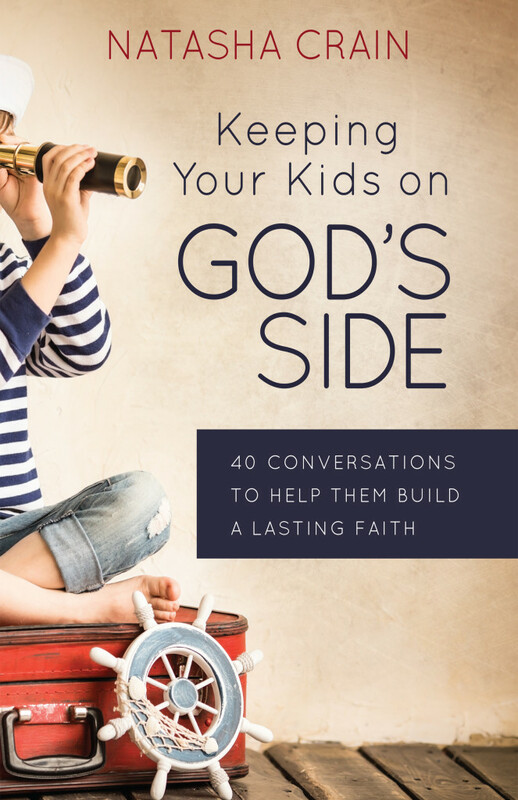 Amidst a recent struggle of inadequacy with the girl’s questions, Chad shared that Natasha Crain was sending him a book to review titled Keeping Your Kids on God’s Side (40 Questions to Help Them Build a Lasting Faith), would I like to review it for his blog? I don’t regularly peruse the web or join blogs. But Chad has encouraged me to go to Natasha’s blog often in the past couple years. Each time I stop by, I am challenge and encouraged. And now she has a book, with a title that embodies the hopes and prayers for our girls: to form their soul for Christ. Hello Natasha. Let me brew some tea. First, allow me to share, Natasha’s warm and transparent writing in the introduction resonated with this reader. She is one of us! A parent rightly burdened with the overwhelming task of modeling, sharing, and teaching Christ to the next generation. And behind those sweet eyes staring back is the soul of my child. Your child. God’s child. In the fitting example of a man who desires to climb Mt. Everest and prepares himself to do so by performing a few jumping jacks, Natasha claims this also is the typical Christian parent’s preparation at the foot of their child’s developing faith. “Here is my call to action,” says Natasha, “We have to stop winging our Christian parenting and start getting in shape to prepare our kids for what’s ahead. Consider this book your personal trainer.” Okay. I have spent years warming up. Time to build some stamina. You can see the Table of Contents here if you are interested in seeing the specific questions covered. Every chapter begins with a practical example that puts the following information into its proper context and demonstrates the title question is applicable to daily Christian life and conversations. She then takes the realistic approach that while there are multiple sources one can go to in answering that question (and she lists them when necessary in the end notes) that what a parent really needs is (1) a good understanding of the question and (2) a few logical, easy to grasp evidential examples to get the conversation started. You can then go further with her resources as needed. What I found most helpful was the concise summary of the question and examples found at the close of each chapter. Some chapters have a larger quantity of research or delve further into explaining the premises of an argument. These chapters could take more time for a parent to grasp and formulate an answer for their child on the appropriate level of development and understanding. The summary of each chapter is where I see myself turning to give my child the answer they need in that moment of conversation with questions I am not adequately ready to answer. I am grateful that Natasha included this short yet powerful tool. Ultimately, Natasha offers her readers the opportunity to think hard and wrestle with some tough topics of faith for the parents. Her book is not one that you would read word for word to your child of a young age. That could certainly come along with your older children depending on their developmental level. No, this book is for the parent, to equip them to look at their own faith and allow God to work out some struggles in their soul in order to be of stronger faith for their children. Such questions as “Why would God command the genocide of the Canaanites?”, “Does the Bible support slavery?” and “Why do Christians have varying views on how and when God created the world?” resonate with the older, rather than the younger, soul. While the book has the end goal of addressing questions and creating conversations with your children, to engage them and the family in studying out these and many more exciting topics of Christianity, it starts with you. With me. The parents. We must own our faith. Then, when the questions come, simple or complex, we are prepared to answer them with confidence and compassion. We must become Christian case makers. Natasha does not conclude the 40th question and send us to the Notes page. She looks into our homes and points out where we need help the most: in the daily routine of life. She is able to point this out because she is living it with us. 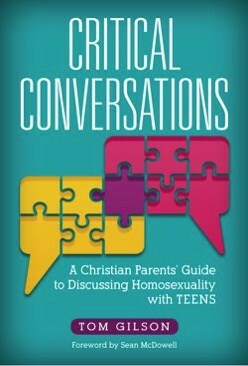 The final section of her book, “10 Tips for Having Deeper Faith Conversations with Your Kids”, lays out a manageable and exciting plan to engage and grow families in their faith. Start with one, and work your family up to ten. The results, as Natasha states, is an investment in your children’s lives. In conclusion, while going through Natasha's book and realizing with each chapter how often I will be returning to it while raising my daughters, I had a little vision, if you will, a sort of flash back to a flash forward. Natasha is not shy to state her daughters are strong willed. How well I know her words. A book on creative corrective discipline was gifted to me when my oldest was about three. By age four she despised that book; I had taken it off the shelf so many times. “Oh, I hate that book! I wish you did not have it! Put it back!” she would firmly state. She knew a creative correction was coming soon. I flash forward to her questions on God, the Bible, Jesus, Truth, Worldviews, and Science during our days of learning together. I see myself taking down Keeping Your Kids on God’s Side often. I hope to hear my daughter say, “Oh, I love that book! I am glad you have it. Open it up to my question.” Ah, a parent can only hope, pray…and be prepared. Join me in using Natasha’s Crain’s Keeping Your Kids on God’s Side to build the necessary stamina in our children, and ourselves, to climb this mountain of faith. We will stumble together. We will make great strides together. We will see the view from the top, together. Danielle Gross is a home school mom and Director of the Hagerstown, MD Classical Conversations Foundations and Essentials Community. Dr. Craig had an interesting conversation with a buddhist while he was recently in Hong Kong. 1. 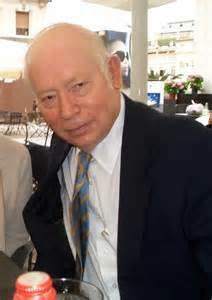 Steven Weinberg, Facing Up (Cambridge, MA: Harvard University Press, 2012), 242. 2. Candance Adams, "Leading Nanoscientist Builds Big Faith," Baptist Standard, March 15, 2002. In this excellent short video (2 min) Sean McDowell explains three principles Christians should follow when voting. A faithful reader sent me Adam Ford's creative "curiously Christian webcomic" and many of them are apologetic in nature. You can checkout all the webcomics here. Finally, if you are not following Ford's satire site "The Babylon Bee," you should be! You can check it out here. Does Pro-Life Logic Mean Women Who Get Abortions Should Be Punished? Greg Koukl and Alan Shlemon addressed the subject question in a recent Stand to Reason podcast. Is this a question pro-lifers even need to answer? Does the emotional state of a mother in a crisis pregnancy situation need to be considered prior to dealing out punishment? Are criminal justice structures already in place that can be used for guidance? These are all questions that are discussed in the podcast and fall under the main question. You can listen to the podcast here. Sean McDowell interviews Gilson here. Video: William Lane Craig and Kevin Scharp- Is There Evidence for God? In February 2016, William Lane Craig participated in this Veritas Forum dialogue at Ohio State University with Professor Kevin Scharp on the topic, "Is There Evidence for God?" This was a fascinating discussion and well worth your time. One discussion Craig and Scharp had was regarding probability and deductive arguments. Craig has a thoughtful response to that here. From that perspective, there is no essential person that survives the process of change. This would suggest that, for example, the person who committed a crime, the person brought to trial for the crime and the person serving a jail term for that same crime are all different persons. The notions of moral responsibility and criminal justice are both premised on a substance-dualist view of a person; otherwise, it would be conceptually difficult to hold anyone responsible for immoral or criminal actions. the substance view tells us that you are identical to your former fetal self even though you lacked a brain at that earlier stage of development. You are the same being now as you were then, though not because of something physical that will change over time, such as your brain function. From the moment you began to exist (conception), rather, you possessed a nonmaterial human nature that grounded your identity through all the stages of your development. There’s been no substantial change to your essential being even though your physical body has changed dramatically. Thus, if you are intrinsically valuable now, you were intrinsically valuable then as well. 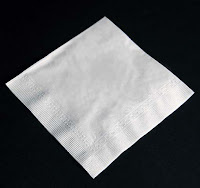 Second, the substance view can account for human equality. Human equality is not grounded in some accidental property that may come and go in the course of our lifetimes (such as our immediately exercisable capacity for self-awareness), but in our common human nature. Put simply, the substance view says we’re valuable because of the kind of thing we are rather than some function we may or may not exercise. Secularists...can deny this, but only at a terrible cost. For example, at any given moment, some of us can exercise greater brain function than others. In what sense, then, are we equal? Suppose my brain is severely damaged due to a stroke. Am I any less me? If I later regain all of my cognitive functions, am I back to my old self? A simple way to remember this is to remember the L in the acronym SLED. L stands for Level of Development, and the level of development of a human being is irrelevant in providing them with moral value. The value of a human being is grounded simply in what they are not in any function they may gain and lose during their life. For more on SLED, see here. In addition to the case Klusendorf makes for why brain function is irrelevant in establishing the equal worth of the preborn, I argue that like an image on a polaroid picture yet to appear but already there, so to the brain function of the early human embryo is in place. All that is required is time and an environment conducive for the life of the new human being to continue. Abdu Murray of RZIM and John Loftus debate "Was Jesus Raised from the Dead?" at Western Michigan University. This debate took place on April 5, 2016. When Jehovah's Witnesses come knocking, do you fear opening the door because you don't know what to say to them? I know from experience that sometimes talking to a JW can be a bit like trying to nail Jell-o to a wall! In today's featured post, Justin Taylor shares a method he learned from Greg Koukl regarding how to demonstrate to a JW that Jesus is God using a verse from their New World Translation. It is easy and keeps the conversation focused on the most important issue. Please take the time to master this technique and the next time the JWs come knocking, you will be ready! 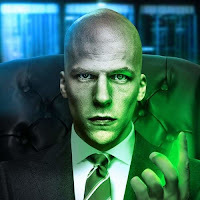 Is Lex's argument sound? 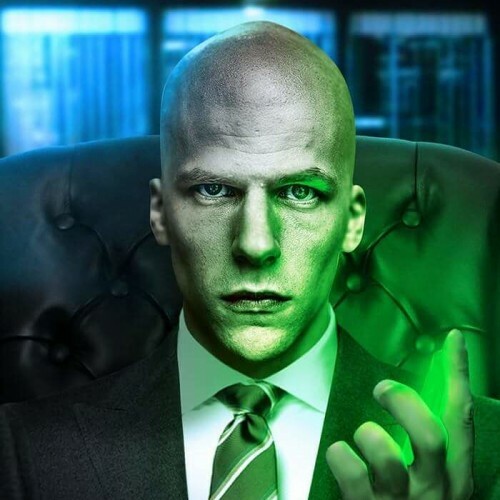 In this featured article, Tim Stratton demonstates why Luthor's argument ultimately fails. 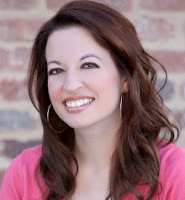 Our review of Natasha's new book Keeping Your Kids on God's Side is forthcoming! 1. Natasha Crain, Keeping Your Kids on God's Side, p. 12. In this lecture, Dr. Mike Licona presents historical evidence for the resurrection of Jesus. You can learn more about Dr. Licona and his work here. 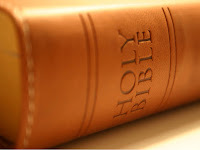 Here is another great video by Impact360 addressing the question, "Is it okay for Christians to question the Bible?" I also encourage you to checkout their outstanding video on the resurrection here. The gospels actually agree on much and the minor discrepancies between them actually add to the circumstantial case that they are indeed eyewitness accounts. 1. For those who want to learn more about the the differences in the gospels, I recommend Jim Wallace's excellent post on the topic here. Jim's background as a cold-case homocide detective affords him a unique perspective. 2. William Lane Craig, On Guard, p. 243. The common intuition "shared, in general, by advocates and opponents of abortion alike” that late abortion is worse than early abortion seems to undermine the basic equality of all human beings and to help justify early abortion. In fact, it implies no such thing. Circumstantially, no two cases of intentional killing of the innocent are exactly alike. Intrinsically, however, every case is identical, as an act that unjustly deprives the victim of life. That it is worse to kill a human adult than to kill a human being in utero, and worse to kill a child already born than to kill one at the embryonic stage, does not in any way justify the killing of the latter. You can read Kaczor's piece in its entirety here. Amy Orr-Ewing is EMEA Director for RZIM, and Director of Programmes for the Oxford Centre for Christian Apologetics (OCCA). You can learn more about Amy and her work here.. I greatly enjoy watching superhero movies. Whether it is Spider-man battling Doc Ock or Batman struggling to stop the Joker from waging war on Gotham, these films are greatly entertaining and tell us much about our culture. However, there are times in these films when a series of threats arise that are too powerful for just one hero to fight. In these situations, various heroes with unique talents and abilities must be assembled to face the assorted dangers. Most would agree that we are in a culture war. The battles being waged are both within the church and without. How do we communicate the truth of the gospel to a post-modern world? How do we motivate fellow believers to engage in apologetics? How can one thoughtfully respond to the increasingly hostile attacks aimed at the Bible? How do we discuss our Christian convictions with those who hold different religious views? 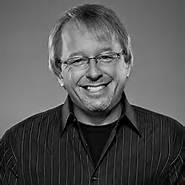 In A New Kind of Apologist, Sean McDowell takes on the role of Nic Fury and assembles some of the finest thinkers and apologists writing and speaking today to address some of the most critical issues facing the church. The result is a very readable and comprehensive work that is sure to challenge and equip both beginner and seasoned apologists alike. Part 1: A New Approach to Apologetics addresses how the believer can communicate the truth and live it out. Part 2: New Methods in Apologetics deals with creative and practical ways to equip fellow believers and our youth to make a case for their Christian convictions. This reviewer was especially glad to see a chapter written by Mary Jo Sharp entitled "Why Women Should Study Apologetics." This is a growing, but often overlooked, topic within apologetics circles. Part 3: New Issues in Apologetics concentrates on some of the most pressing issues in apologetics today including politics, LGBT and race issues. 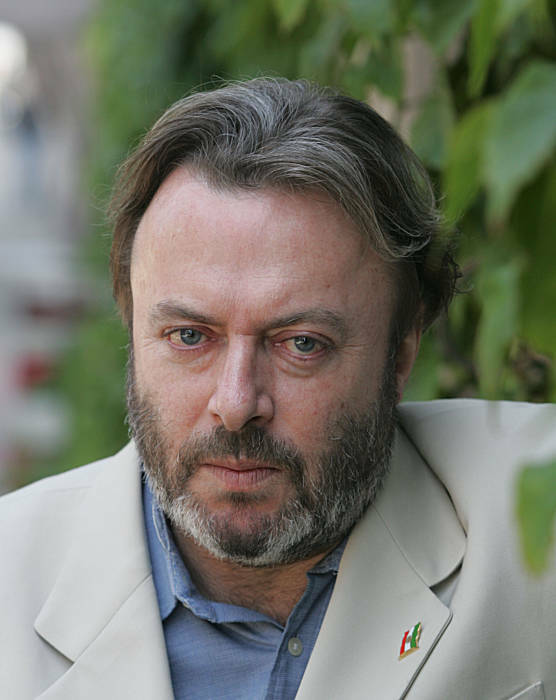 A New Kind of Apologist repeatedly emphasizes the importance of representing your opponents view fairly and how vital it is to focus on winning the person and not the argument. Further, many apologists repeatedly point out that we are losing our youth, largely due to intellectual reasons, but few offer a remedy to the problem. In this work, Brett Kunkle offers a method based upon the principles of Classical education to disciple our children and equip them to be able to understand and defend what they believe. Kunkle writes we "...must be convinced of the necessity of apologetics, and...we must have a larger discipleship framework in place into which we fit apologetics." [p. 91] Kunkle continues by laying out a suggested framework that is easy-to-understand, practical and powerful. I was also pleased to see topics represented that go beyond what your standard apologetics text typically deals with. Whether it is apologetics and new technologies, mentoring, or economics, this book addresses unique subjects in a very helpful manner. Moreover, the issues are current ones that thoughtful believers are surely having to address at the water cooler. This work also includes brief interviews with both believers and skeptics on various issues. These serve to help demonstrate why the issues addressed are so important and why those with differing views believe as they do. Some may feel that a few of the essays don't go in-depth enough, but it is important to remember that the purpose of this work seems to be to deal with the important elements surrounding each issue and to equip readers with some thoughtful responses. Some of the essays will leave the reader wanting more and this reviewer believes that is a positive result. I am pleased to report that A New Kind of Apologist delivers! I encourage believers to read it, master it and enter the battle. Surely the stakes are high, but the rewards are eternal. 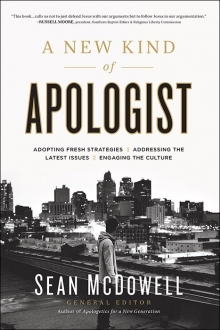 A New Kind of Apologist is an important book and I highly recommend it! You can get your copy here.